David Benatar’s Asymmetry Argument is one of the pillars of antinatalism and right to die. It’s an important philosophical concept. The fact that it’s not so well-known speaks volume about current times, and not good things. It’s not a concept that’s hard to grasp. The main idea is, a person who exists experiences both pain, pleasure, and deprivation of pleasure (which is a form of pain). However, a person who doesn’t exist doesn’t feel pain and cannot suffer from thr absence of happiness, because they’re dead. A person can only suffer from coming into existence. By not forcing a person into existence, you don’t actually deprive him/her of pleasure because they don’t exist. They can’t suffer from that. Existence is suffering. While this is a rational reason to commit suicide, it can also be a reason for someone to kill another. People prevent suicide because they assume suicide is harmful for the person. 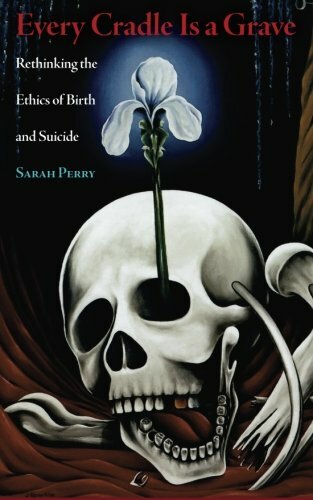 An antinatalist can kill someone and explain that what he did was in fact, morally valid. Just like the suicide-preventor, he prevented the suffering of a person by ending his/her life. This is dangerous logic because it can be used to hurt others under the guise you help them. By finding a way to explain why your actions benefit the person, you can go on preventing suicide, killing or abusing. Human civilization can’t live this way. Therefore, it’s important to establish another right and that is the right to self-harm. A person has the right to self-harm. If a person does something that you consider harmful to him/her, you have no obligation to intervene. You are only allowed to intervene if actual results and the desirable result are vastly different. For example, a person can slice their wrists for various reasons. One of the actual results of that is that they will cause permenant damage if they hit a nerve. Now, if they want to cause such permenant damage, they have a right to do that. It’s their body. However, if the desired result is to relieve pain then it’s okay to intervene and stop them from harming themselves. That’s how we will help the person gain his desirable result – relieve his pain. We will help the person fulfill his desires, direct him towards better means of achieving that. That’s also why, although I think euthanasia should be available for anyone I don’t think that a person should get it as soon as he requests (except for extreme cases). The person will first go through a therapy to help him understand better what he wants. Some people do regret attempting suicide and some regret not acting on it. So it will be better if we will help people understand what they want. If a person wants a better life, we need to prevent that person’s suicide because it won’t get them a better life. If the person desires non-existence, not being themselves we have an obligation to help them. The right to self-harm means a person has a right to do things to their own body, which we will consider harmful to ours. The best way to know when we’re allowed to intervene is whether the results the person wants are the same thing the harming action gets him. By respecting this right, antinatalists and natalists can live side-by-side. Antinatalists will respect the fact others want to live even if they find it undesirable. Natalists will respect the fact others desire non-existence, even if they consider death an inheritently bad thing.